This is a 36’x56′ modular barn with (2) 12′ lean-tos in the trailside style. 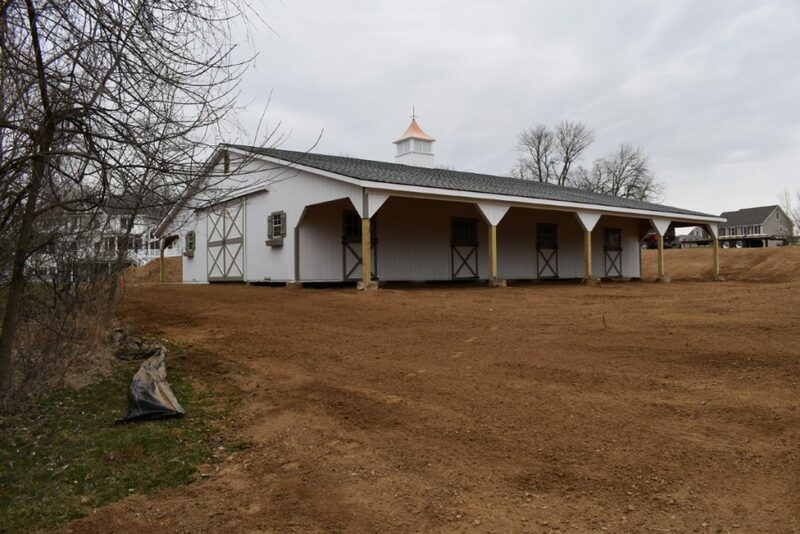 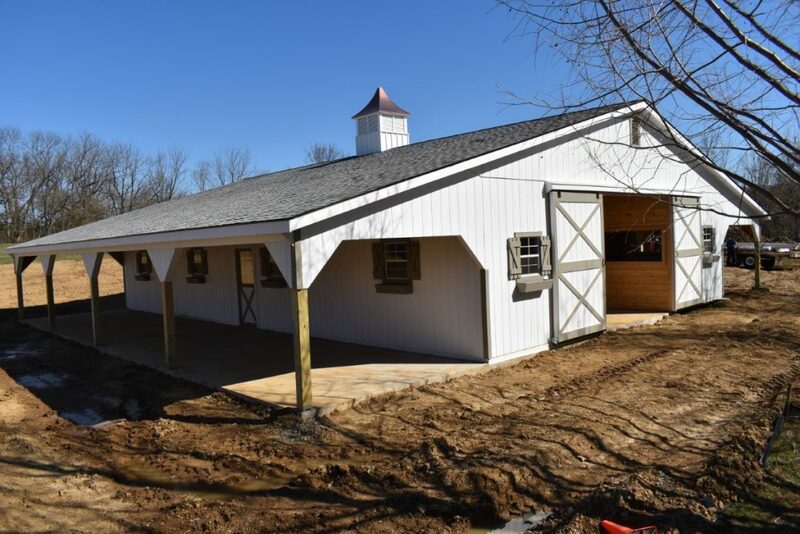 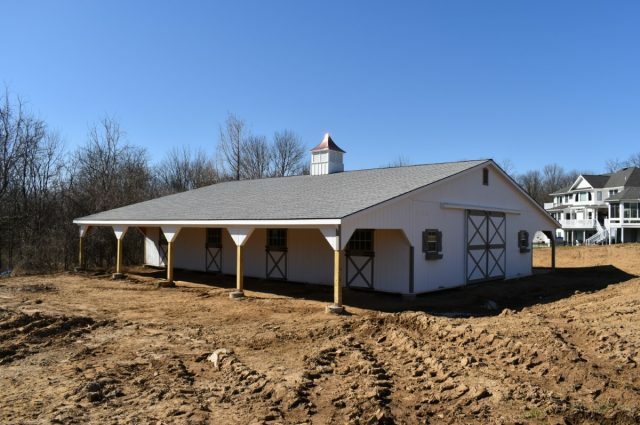 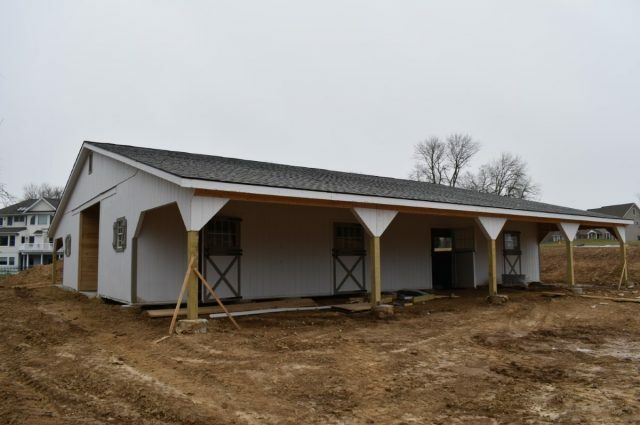 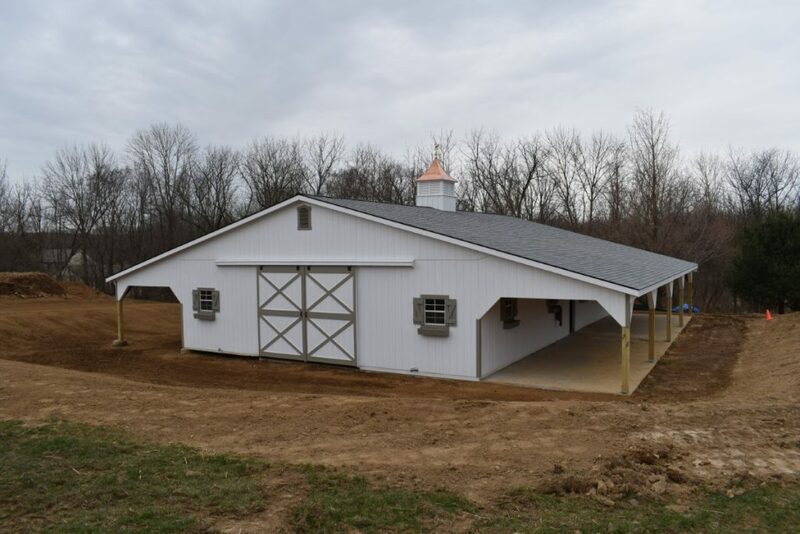 This Doylestown, PA trailside barn was built with Duratemp T1-11 siding painted with white paint provided by Haley Paint Company. The corner trim and window trim and door trim and crossbucks are painted clay. 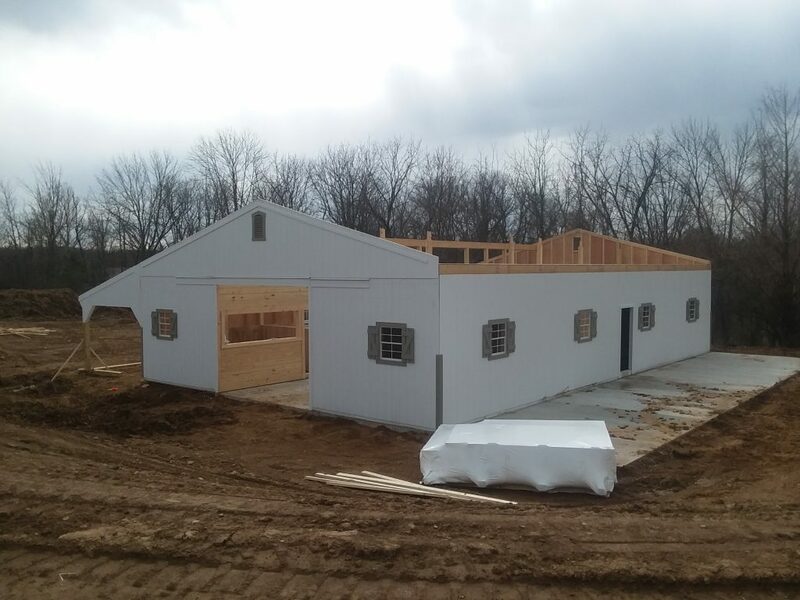 It has 3 pitch rafters and architectural shingle roof with GAF Timberline HD (Fox Hollow Gray color) shingles. 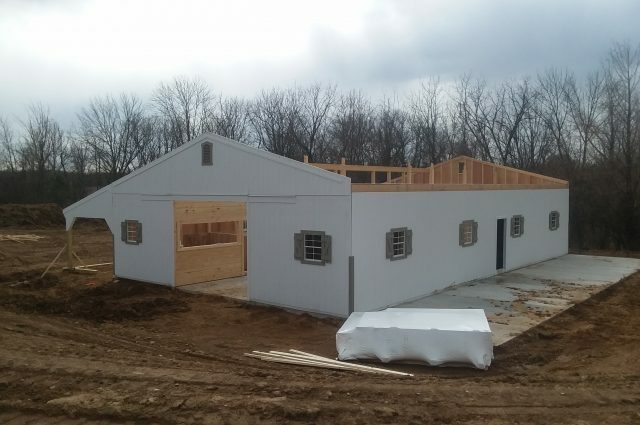 The windows are aluminum single-hung windows provided by Apple Fasteners Inc. The 6’x9′ roll doors and 4’x7′ dutch doors with window and service door with window are manufactured by J&N Structures. 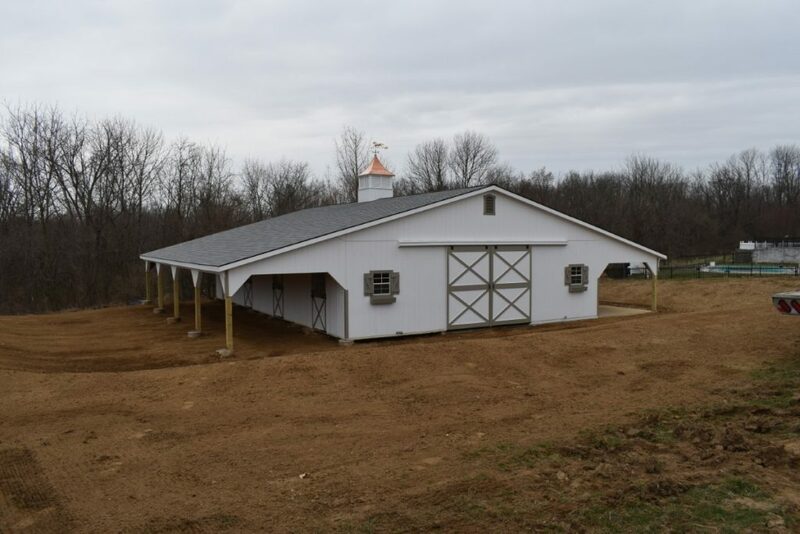 The gable vents and shutters and flower boxes are also manufactured by J&N Structures. 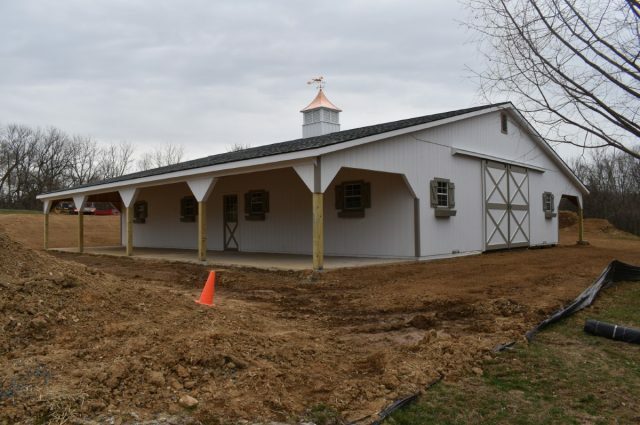 On the roof is a B-48 Series cupola with weather vane manufactured by Creative Cupolas. The foundations are a concrete pad and piers installed by the customer. 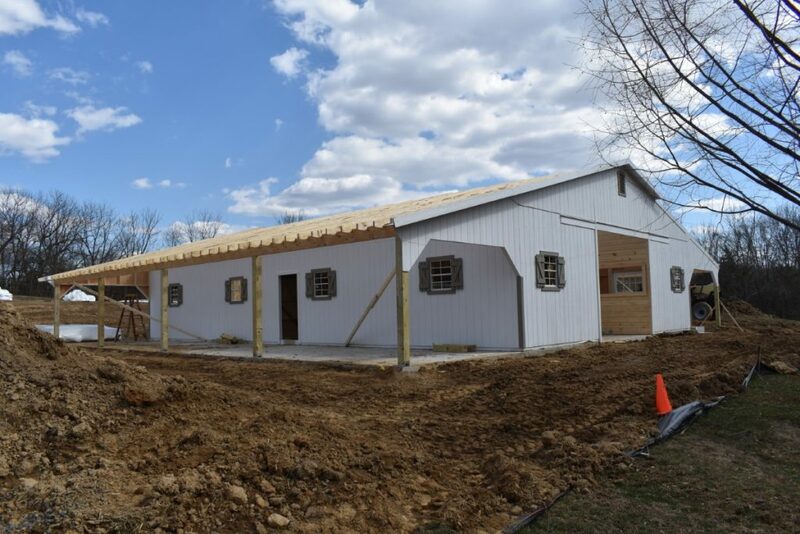 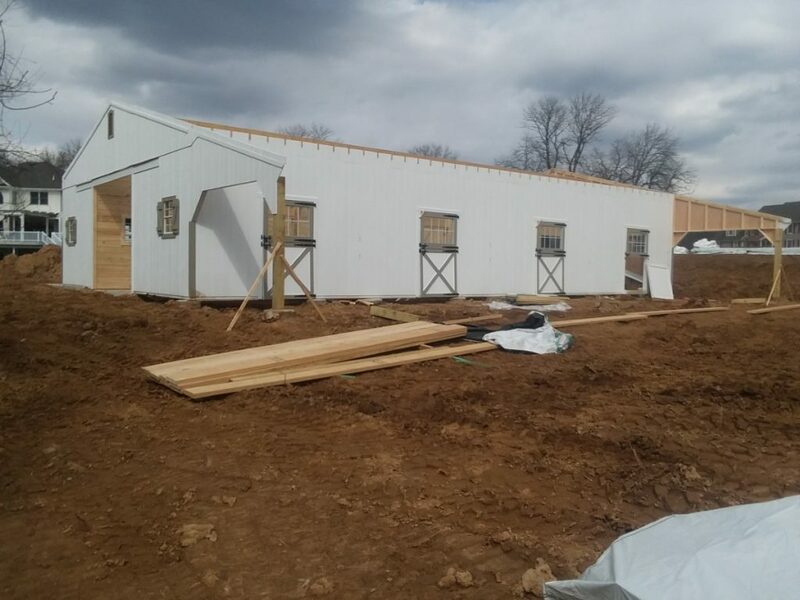 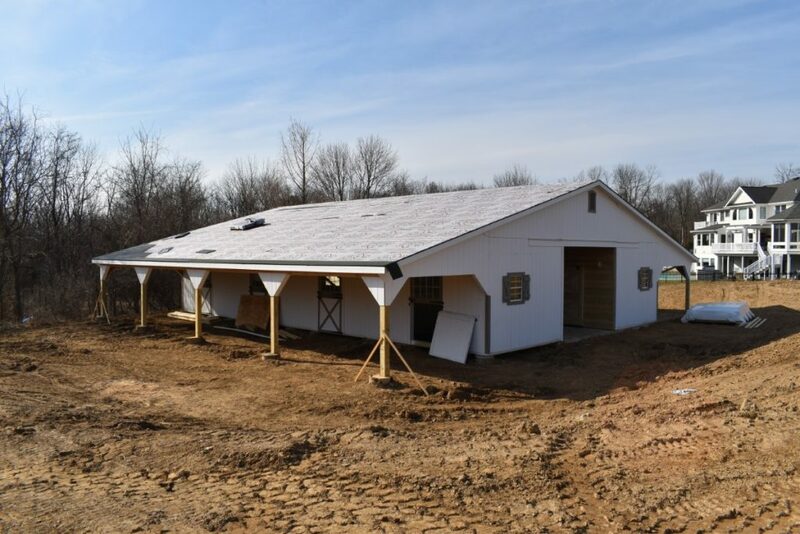 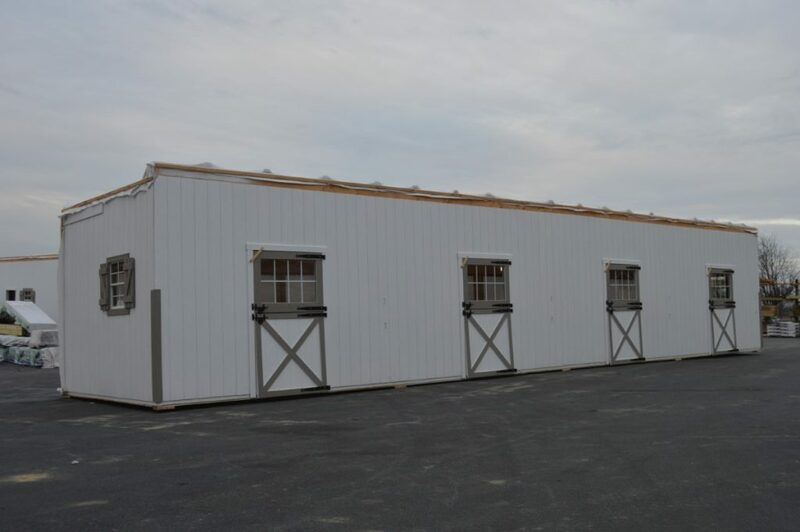 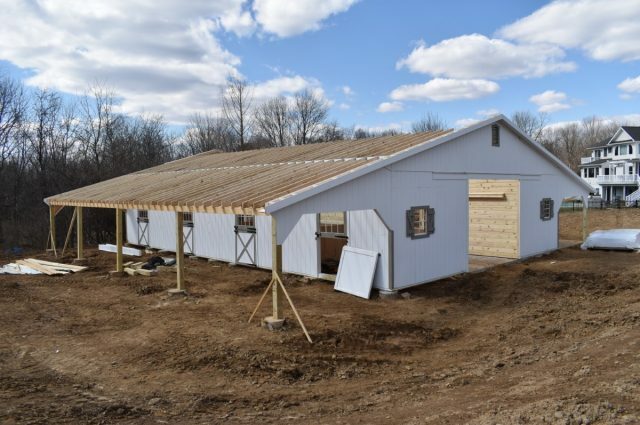 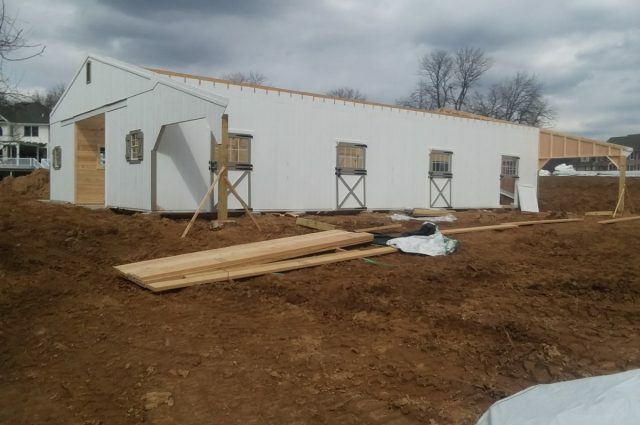 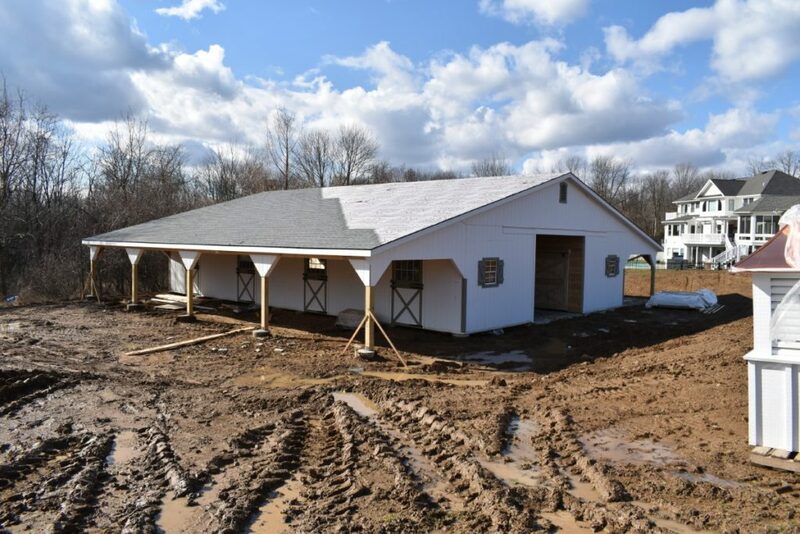 This modular barn has (4) 12’x14′ stalls and a 12’x14′ feed room and a 12’x14′ open storage area and a 12’x28′ office and a 12’x56′ center aisle. 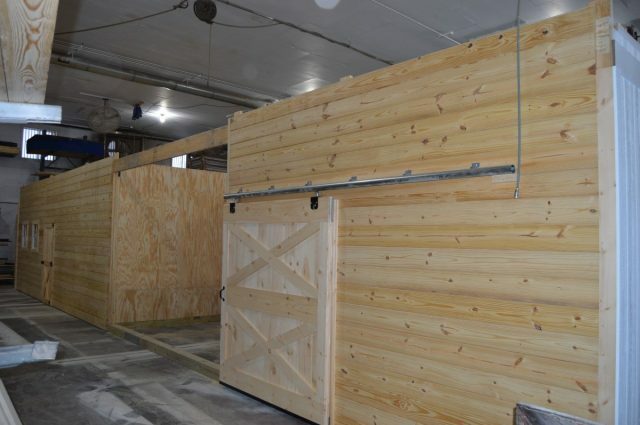 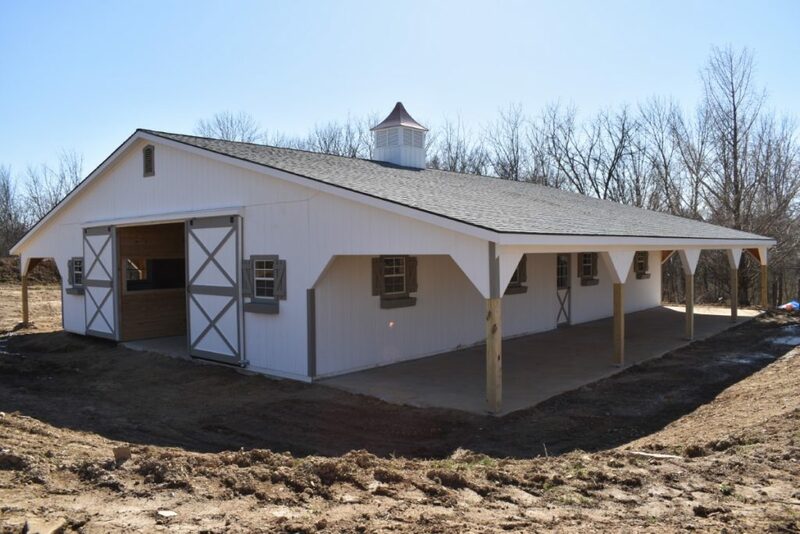 The stalls are lined with 4′ high oak kick boards and have a swinging 4’x4′ stall door and a dutch door with window to the outside. 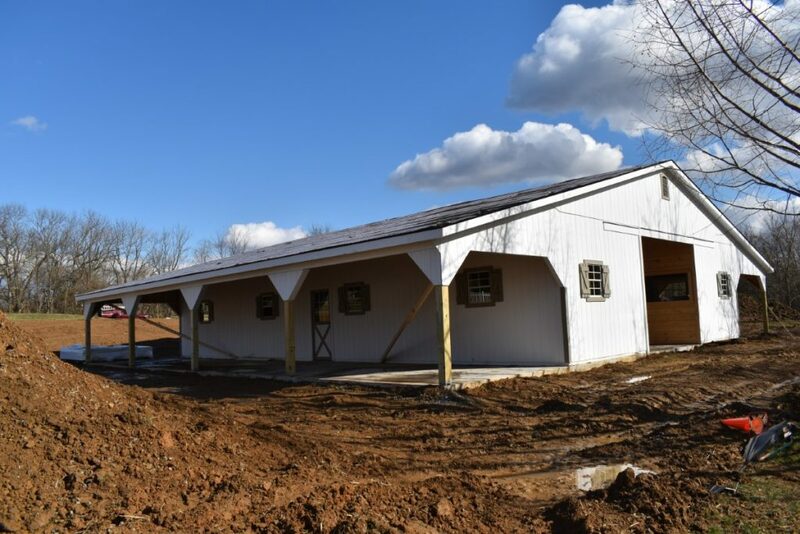 The feed room has (2) windows and a 6’x7′ sliding door into the aisle. 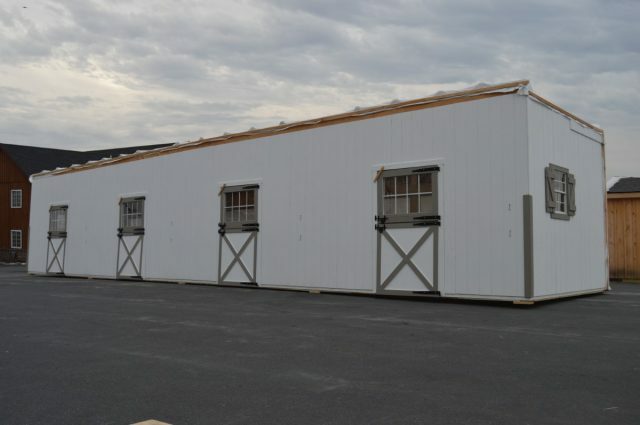 The open storage area has a window. 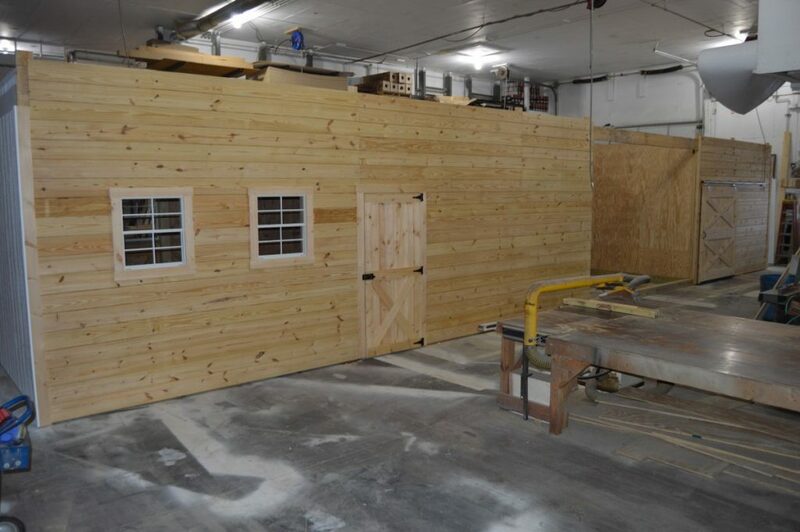 The office has a storage closet and (5) windows and a service door with window to the outside and a service door into the aisle. The aisle has double sliding doors with windows at each end. 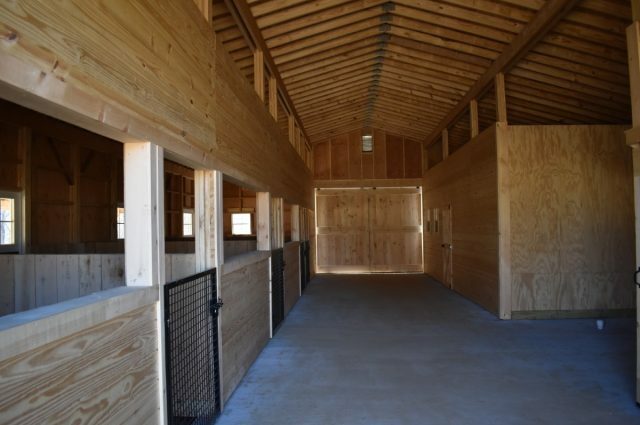 On either side of the aisle doors are extra windows. 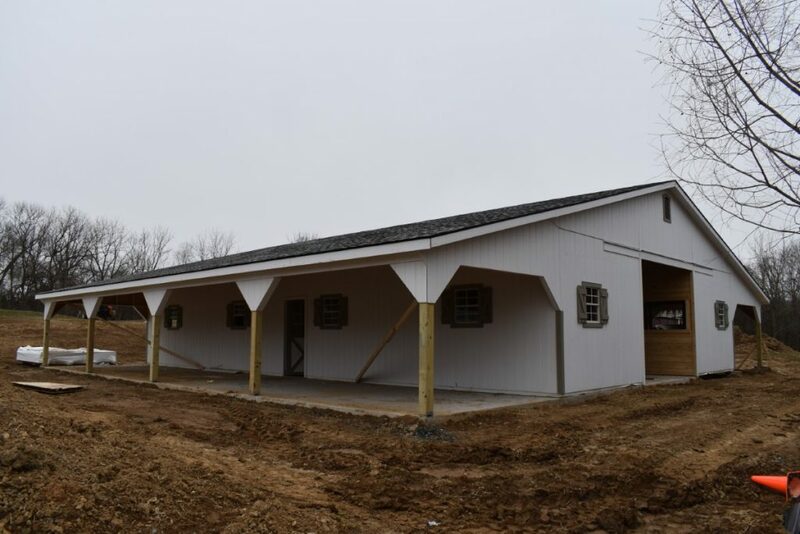 Each of the windows has shutters and a flower box.